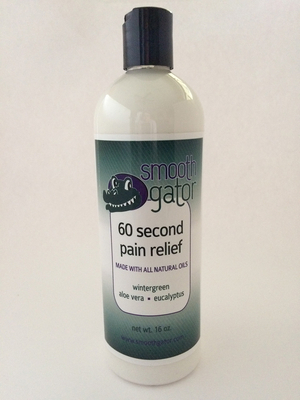 60 Second Pain Relief - 16 oz. made with all natural oils including wintergreen, aloe vera and eucalyptus – allowing for more flexibility and movement in a safe topical product – non-greasy formula – the #1 product selected by our customers – 16 oz. for pain relief, apply liberally to affected area up to four times per day as needed. For sinus relief, rub a dime size amount between your hands and breathe in through your nose and out your mouth – not for internal use.